In just a few more minutes, tomorrow will be here and we will be bringing in a brand new year, 2014! While preparing to celebrate, remember that just like runners, we are all “on your marks,” soon it will be “get set’ and GO! With each of us having 365 pages of book to fill in, how would your story look like? Take sometime to create a mental picture of how you want your story to begin and end. 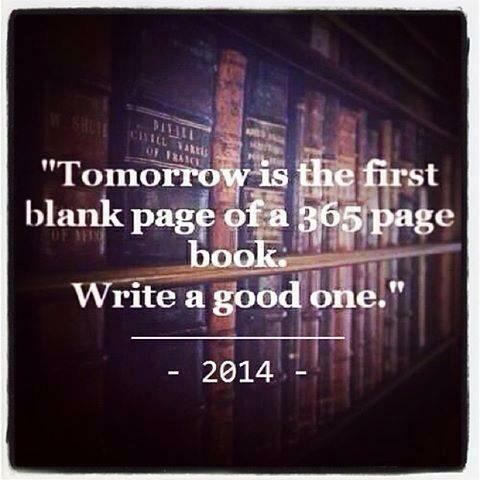 I hope that we all have a good story to fill each blank page for each day of the 365 days that will make up the year 2014. I am wishing you a very happy and prosperous new year. Here’s to your budding success!